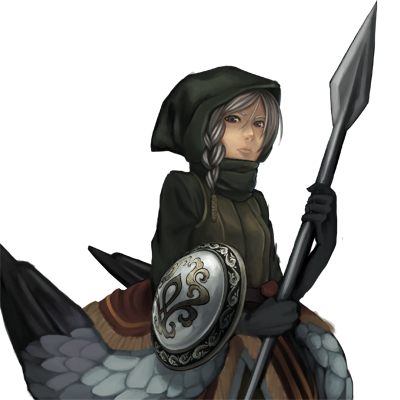 The experienced ones of the maiden army, these women are trained to make expert use of their wingsuits. They possess superb skills with their spears and manoeuvre gracefully, breaking the formation of enemies by diving into them with their spears in unison before jumping away again, leaving the enemies in terror and confusion. Their precision with the spear were rumoured to be how their namesake came to be.